danceLogic students showcased their dance skills and spoke about the impact the program has inspired, motivated and how much danceLogic has taught them about themselves. DanceLogic is a unique S.T.E.A.M. program that combines dance and computer coding leading to the development of original choreography and performance, is continuing onto its second year. 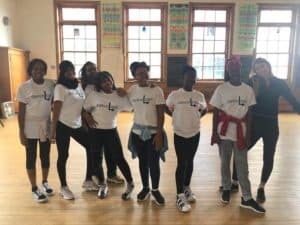 Girls ranging from the ages of 13 through 18 years participate in the program held at West Park Cultural Center in Philadelphia and learn the value of focus, dedication, and teamwork, as well as industry standard coding language. During the dance class, led by instructors Edwards of D2D The Company and Annie Fortenberry, a performer with Ballet 180, the girls learn dance skills and movement techniques. This is followed by an hour of learning industry standard coding language under the direction of coding instructor Franklyn Athias, senior vice president of Network and Communications Engineering at Comcast. Check out the video of the two dance routines performed at the Winter Showcase. The first part of the video shows a dance choreographed by dance instructors, Annie Fortenberry and Shanel Edwards. 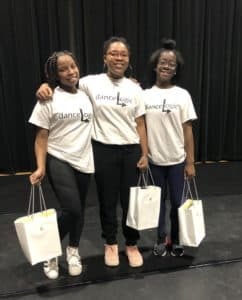 The second part of the video shows the dance routine choreographed by the danceLogic students Lauryn, Najelah and Nailah. After the performance, the girls talked about how much danceLogic has impacted their lives, inspired and motivated them. We also hear from Franklyn Athias, coding instructor, about the importance of Women in STEM.